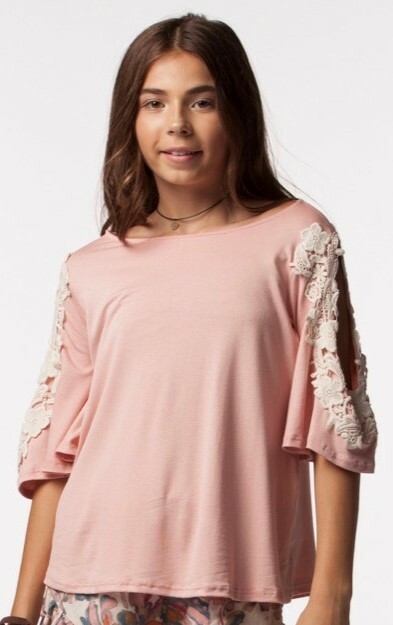 $48 - Cute and here for spring, this tween girls top from PPLA will be one of her favorites. The dusty peach shade is a hot color and compliments so many skin tones. Her neckline is styled wide as is the casual fit. The fabric is soft on her skin and has the perfect weight for the season. Her half sleeves fall with a loose fit. The cutout on the top of both arms is accented with ivory crochet lace. This applique features a floral pattern.